We have based our approach on the unique combination of two well-known team development models. 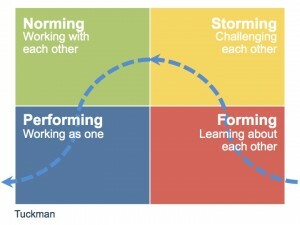 First you have the model designed by Bruce Tuckman, which refers to the dynamics of team evolution and development. Every time changes occur or situations cause the team to adapt, the team falls back into the same dynamics again. 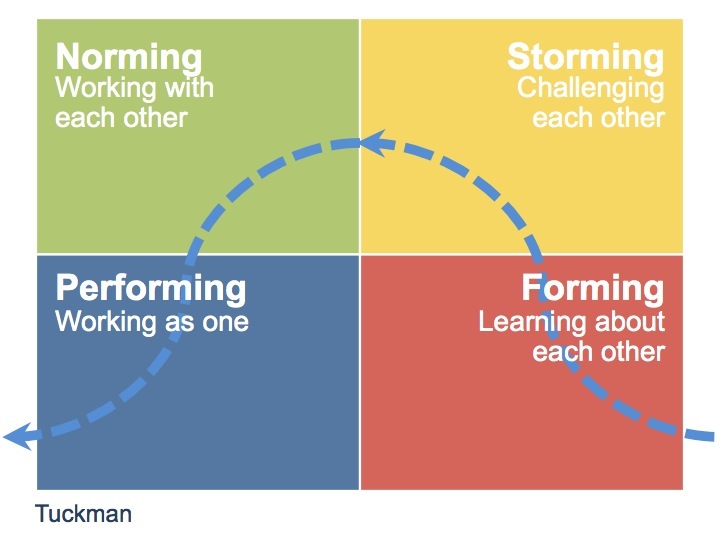 The Tuckman assessment points out in which phase your team mostly operates and also tells you in how far this affects its performance. 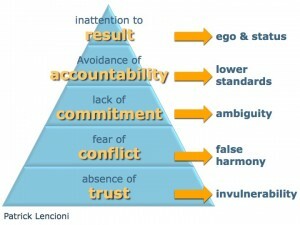 This assessment chiefly indicates the dysfunctions that prevent the team from performing outstandingly. This positive approach prompts the team to look for solutions. Our joint approach provides an accurate assessment of your team’s functioning. 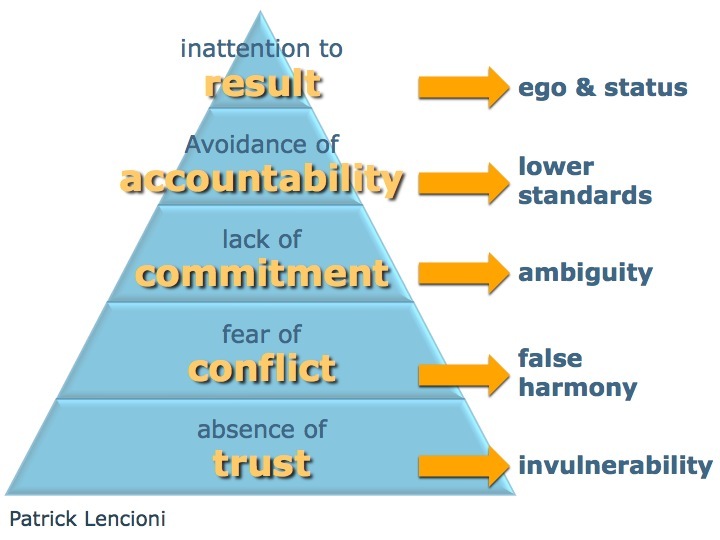 This offers a large variety of possibilities to tackle the improvement potential exactly there where it is most likely to be of benefit to the team.